Hair extension manufacturers, Darling, donates wigs to cancer champions – Kenyatta University TV (KUTV). All Rights Reserved. 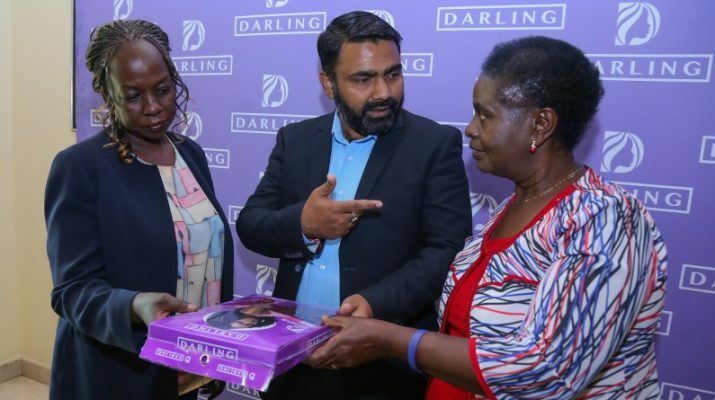 Darling, an East African hair extensions manufacturer, Tuesday, donated wigs to the Kenya Cancer Association (KENCANSA) for cancer champions undergoing radiation treatment and chemotherapy. Over 1,000 women across Kenya supported by KENCANSA are expected to benefit from the wigs donation. Darling Kenya Chief Executive Officer Mr. Gaurav Kaushal said that the brand understands the importance of confidence through fashionable hairstyles. “We want to equip our cancer champions with an indispensable freedom to effortlessly channel any style, anytime with ease. We want them to find their beautiful selves in whichever wig suits them well,” said Mr. Kaushal. KENCANSA Executive Director Ms. Grace Mugambi said for cancer champions wigs are a step toward reclaiming their confidence and reasserting their place in their world. “Losing one’s hair is a common side of chemotherapy which can have a great impact on a woman’s self-esteem. Many of the women have difficulty adjusting to the hair loss and that is why wigs are a very important part of their treatment,” said Ms. Mugambi. The International Agency for Research on Cancer’s Globocan 2018 data shows women lead in new cancer cases with 28,688 getting the disease compared to 19,199men, representing 56 per cent of the total new cases. Board Member of KENCANSA Rachel Kitonyo said that the main reason people are dying is because of late diagnosis since only few people go for annual checkup. The Board Member of KENCANSA, further encouraged women to go for breast examinations regularly since it is way much cheaper than the treatment. Kenya Cancer Association (KENCANSA) is the leading national voluntary run nonprofit making organization established in Kenya in 1995 after recognizing that Cancer was emerging as a leading cause of death in the country. The Core mandate is to raise public awareness on Cancer as well as mobilize and lobby stakeholders to prioritize cancer in their programs.